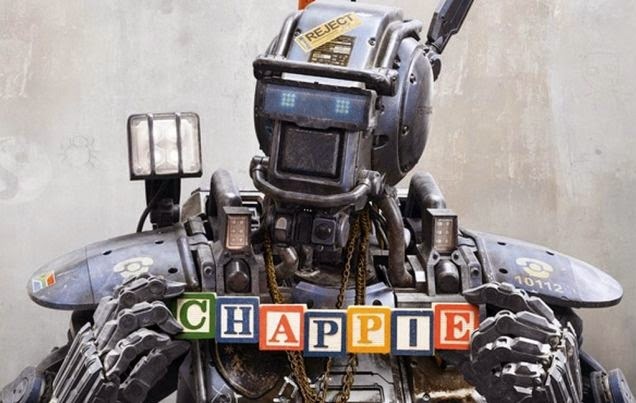 Chappie Robot: Is such AI possible? Home » Computer Science | Technology | Useful Info » Chappie Robot: Is such AI possible? Is it possible to bring an A.I. robot like Chappie to life? Chappie is a sci-fi movie directed by Neill Blomkamp of the District 9 fame which stars stalwarts Sigourney Weaver, Hugh Jackman and Dev Patel (star of Slumdog Millionaire.) The movie is based on the hot trending topics of sentient robots and artificial intelligence. Machines can mimic many aspects of human consciousness but they lack the essential feelings. Can machines think, learn and feel like humans? Well, yes and no. Whether a robot or computer software can think like a human brain is still a controversial questions. What we do know somewhat is that the human brain is a master piece and an enormously complex structure. It contains about 100 billion neurons making about 100 trillion connections in all! By one research, the total information content of the brain can be to 1042 bits. But on the other hand we have seen many sci-fi things becoming a reality. Yes, with the advancement in AI technology, quantum computing and processing speed it is possible to create a program that can think and learn. But what about the feelings part? May be we can program a machine to react in a specific way with the occurrence of certain events. For e.g., We can program to make a Robot act as it is happy when it receives some kind of reward. But won't that be a psuedo feeling? The main thing is such AI machine may exibit human level or even superior intelligence in future but they will lack the soul. When will the real Strong-AI like Chappie arrive? Well, it is a difficult question to answer but it will take at least another 20 years for humans to create a general Strong-AI system like Chappie or like the one seen in Her movie (Samantha). Are there any real projects like Chappie? Yes, many big tech giants are working on such a system. Moreover, many promising start-ups are developing such artificially intelligent system. Brain Artificial (Braina) AI Project is a startup whose goal is to develop a digital assistant software that can understand, think and even learn from experience like a human brain.